Nazanin Zaghari-Ratcliffe, the British-Iranian dual national who has been imprisoned in Tehran on espionage charges, is preparing to go on hunger strike in protest amid claims she is being denied medical care. Mr Zaghay-Ratcliffe, who works for the Thomson Reuters Foundation, was arrested at Tehran’s Imam Khomeini airport on April 3, 2016. The 40-year-old mother from north London was sentenced to five years in jail after being accused of spying, a charge she has denied strongly. Iranian authorities claim she was “plotting to overthrow the Iranian regime”. She had been visiting Iran to see her family for Nowruz, the Persian New Year festival, with her then 22-month-old daughter Gabriella. 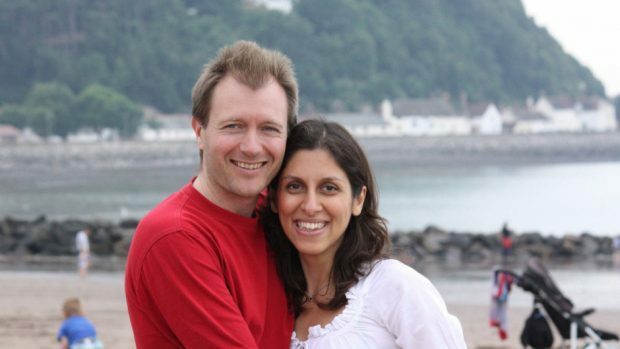 Her husband Richard Ratcliffe has campaigned for her release and has called her continued detention a “travesty of justice”, however the UK foreign secretary Jeremy Hunt has been unable to persuade Tehran to release her. Mr Hunt has accused Iran of using Mrs Zaghari-Ratcliffe as a political pawn and described the case as “totally unjust” and “monstrous”. Mrs Zaghari-Ratcliffe announced the hunger strike from prison in a joint letter with fellow prisoner, human rights activist Narges Mohammadi. The two women said they have planned a three-day hunger-strike, which will be extended until their demands to access medical care are met. The letter said: “In protest to this illegal, unhuman and unlawful behaviour, and to express our concerns for our health and survival at this denial of specialist treatment, despite taking daily medicines, we will go on hunger strike from January 14 to January 16. Mr Ratcliffe said his wife has not received treatment for lumps in her breasts, and has not been given neurological or psychiatric care. He said: “She has felt she has to do something to show enough is enough, this has gone on too long. Nazanin Zaghari-Ratcliffe case: What is diplomatic protection?